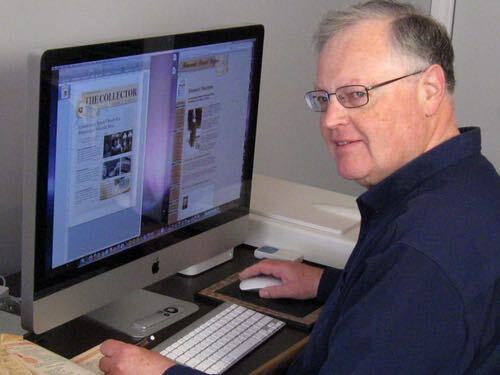 I'm Don Bell from Peterborough, Ontario. Yes, I'm the guy with the old fashioned recipe site. People sometimes ask how a non-tech senior citizen like me can build a successful website and earn money by giving away my Grandma's recipes. If the thought of creating a food blog to share your family recipes or a website to promote your articles and interests appeals to you, I added this Solo Build It Review to help answer your questions, so you can start your own successful website. Before I reveal how, let me briefly review a little of my background. As I share on my About Me page, I inherited a remarkable collection of vintage recipe scrapbooks and cookbooks from my mother and having been inspired by Dr. Russell H. Conwell's book "Acres of Diamonds," I looked for a way to earn extra retirement income by sharing the old fashioned dessert recipes with like-minded people who would enjoy reading them. A recipe website appeared to be the best solution. My problem was that I had no idea how to go about building a website and turning it into a home business. I did NOT want to waste my time on free site builders and empty promises. And falling into the trap of paying a webmaster to build a site for me followed by endless upkeep expense didn't make sense to me either. I just wanted to get online and get earning! While searching on Google one day in 2004, I stumbled upon SiteSell, a Canadian company with a solid track record that offered the ideal solution to my problem of how to build a website. SiteSell's product is called Solo Build It (SBI!) but I call it my Website Secret, as it works quietly behind the scenes to make my site possible. The name Solo Build It reflects its true purpose. This amazing all-in-one system is more than a website builder, it's an online business builder that's altogether different from other programs found in the online marketplace. It's designed from the top down to help "solopreneurs" (people who work alone at home) turn almost any interest, hobby, or skill into a successful website and online business. You will find many website builders advertised online these days, and some are even free. But, it's a minefield! They draw you in with the promise of a fancy low-cost blog or website that you can build in an hour, but you end up needing to pay for additional features and extra bandwidth later! And what's worse, they fail to provide sufficient instructions. They fail to explain that simply having a beautiful website does not guarantee you have a fan base or a business! However, you MUST build a business if you hope to grow your site to become self-supporting and able to generate significant visitor traffic and income. You need the support of a proven system that has all the tools needed to generate targeted visitor traffic. PLUS, you need instructions on how to create a successful online business. As you continue reading this Solo Build It Review, and I'll share how SBI can provide all that for you and more. Please be patient, though, as I'm giving you tons of information, including answers to all the tough questions I asked before building my first site. Also, this page is packed with helpful illustrations, so allow a little extra time for the images to load into your browser. I admit that I was initially skeptical about Solo Build It. The Internet is littered with site builders and domain hosting companies that promise you the moon and yet fail to deliver needed visitor traffic. And don't be fooled by the "followers" carrot. Bloggers work hard to increase their followers while failing to realize that many are simply bots and spammers. What you need is genuine visitor traffic that increases daily. Also, the major search engines don't rank free blogs the same as standard websites. After all, why would they? Such sites have limited Search Engine Optimization (SEO), and their content is often low quality and generally perceived by searchers as having little value. Free means you get what you pay for! If you value your written content forget free! Writers who value their content will willingly pay to publish it on self-hosted sites. So, what you want is a secure, self-hosted site that you own and control. And while there are reputable companies that offer self-hosted sites, the more I researched Squarespace, Wix, GoDaddy, and others, the more I realized that only SiteSell offered the real deal. The company and its founder, Dr. Ken Evoy, have a rock-solid reputation in the Internet industry for honest dealing and for having PROVEN results. SiteSell Education's "Building a Successful Business Using the Internet" course is now being taught at over 3 dozen accredited universities and colleges worldwide! What really sold me on SBI was the fact that I needed NO programming skills, NO web design knowledge, and NO online business training to begin. SBI supplies ALL the tools and know-how in one doable package. It's almost like getting an MBA in a box. SiteSell provides everything you need online. So, you can learn everything you need to know in the comfort of your home. That's a real advantage. You still need to study and do the actual work, but when you're busy doing something you enjoy and seeing measurable results, it really doesn't seem like work. You begin with the Solo Build It manual called the Action Guide, and you'll use it as your main resource throughout your site building journey. The Action Guide is quite detailed, and it's available online in both text and video formats. There's loads of illustrated, easy-to-digest information, and it explains the SBI method of site building in a step-by-step process that's easy to read and understand. You simply work at your own speed within the time you have available. I like having the freedom to schedule my learning, since I tend to be slow and methodical when learning new skills. And the videos are a huge help. Everything is kept up-to-date too, so you won't get distracted by changes that are constantly happening with search engines and social media. You can simply concentrate on writing your articles and building your site. However, The Action Guide isn't your only resource. SBI's Forum is a community of fellow SBI users who freely help each other by offering advice and encouragement. It's available 24/7, and it's a friendly, social place to hang out. In addition, the SBI Support team will promptly handle any technical issues, but such issues seldom arise. SBI is built on a rock-solid platform, and your site is always securely backed-up and protected. Hackers are NEVER a threat to your SBI site! The Action Guide is your main source for all the important online business instruction. It leads you through a step-by-step process that's proven to work. It also integrates with a unique set of built-in site-building tools to assist you at every step. So, I'll begin this Solo Build It Review by closely looking at actual the steps you will take when building your new site. Other site builder services will push you to register a domain name as your first step. Why? It's because domain registration is often their primary source of business revenue, and they want to lock you in their product. So, don't fall for it. Registering your domain name as a first step is a HUGE mistake, and it will almost ensure the eventual failure of your site. Solo Build It is presented as a 10-Day process where a "Day" might take one or several days to complete, or even a week, or possibly a month. Everything depends on the time you have available, and the effort you put into the process. For instance, I began part-time, and it took me almost 3 months to complete the 10 Days. Days 1 to 5 help you to lay a solid foundation for your new business, and it isn't until you complete Day 5 that you are finally ready to name your new site and register the domain. Therefore, consider the first 5 Days as building the foundation of your future online business. Day 1 is where you'll master the basics of online marketing. Don't worry, it's all explained in the Action Guide. You'll also learn the importance of writing your content to PREsell and how that differs from normal selling. Searchers are not looking for you or your website; they are searching for credible information or solutions to their problem. By providing that valuable information, you supply a need and generate your own targeted traffic. Visitors to your site will begin to trust you as one who's knowledgeable about the topic, and they'll be open to your recommendations and products. And PREselling isn't just for products, it's a concept that can also be used to promote your ideas or message content. You'll also be introduced to the latest concept of "Growth Hacking" and how it can be used to quickly promote your new site. Don't worry, it's all explained in the Action Guide. By the end of the day, you'll be prepared for everything you need to do to create a successful online business. It takes the same amount of time to build an unsuccessful site as a successful one. So, it's best to start off on the right foot, and getting your Site Concept (niche) right in Day 2 is the way to go. You start by picking 3 topics that interest you and would appeal to others. Think of a hobby, skill, or anything you know and love that you could see yourself writing articles about. For instance, if you're definite about starting a recipe site, pick your 3 favorite recipe topics such as cakes, soups, and breads, or delicious foods you never tire of cooking. However, even if you have already decided on your site concept, you might need to narrow it further. For instance, when I began my recipe site in 2004, I choose "Dessert Recipes" as my concept (niche) because even then, "Recipes" would have been too broad a topic to compete in. The big brand companies had already staked their claims to it. Competition has increased over the years to the point that now "Dessert Recipes" has almost become too broad. If I were starting fresh today, I might be considering "Cake Recipes" as a niche, or possibly narrow it further to only "Chocolate Cake Recipes." This is where SBI's Brainstormer with its built-in Site Concept Finder becomes necessary. It reveals what potential visitors are searching for in the topics you've selected. Niche Choose It helps you to identify the best topic to build your site around. It guides you in choosing the highest potential niche, based on profitability (Can it attract enough targeted visitors? ), the time you have available (Will you be able to beat the competition? ), and the potential for monetization (Will you have enough ways to earn revenue?). Niche Choose It will automatically compare and evaluate your choices, and it will help you to decide which niche concept offers the most opportunity for online success. Once you've settled on a site concept, you're ready for Day 3. Now it's time create an outline or Blueprint for your site. You'll learn from The Action Guide that people go online to search for information, all sorts of information. Yes, some even search for Grandma's old fashioned dessert recipes! The Brainstorm It tool helps you to clearly identify the sort of information people search for online. This helps you to build a solid content foundation for a profitable information site that will attract the people wanting that information. Here's a key: You MUST be tuned into what people are searching for! When people search for information online, they type in a single word or a phrase called a keyword, and if that keyword is not published on your site page, people are unlikely to find your page listed in Google's search results. Brainstorm It is a unique tool that helps you to identify the most common words and phrases (keywords) that people type in their searches. These common words are called in-demand keywords and by compiling them in your Master Keyword List (MKL) you will have a ready supply of "page topics" for your niche-based content site. For example, examine a few keywords in my Master Keyword List (see above). Let's look at "candy recipes" first. 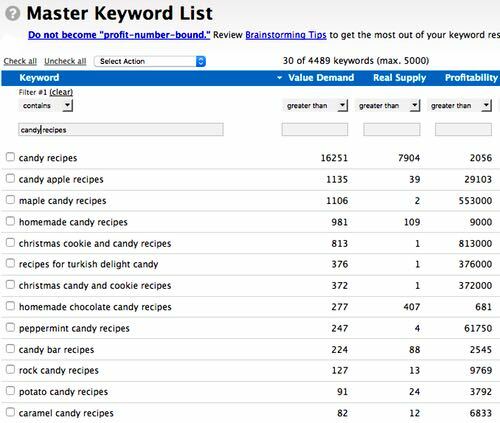 Approximately 16251 people searched for "candy recipes" by entering that keyword into a search engine over a given time (Value Demand). The clever MKL tool also reveals that 7904 other sites are competing against you for the same keyword (Real Supply) and its relative profit potential (Profitability) is 2056. This valuable information gives you a huge advantage over the other website owners who are your competition! 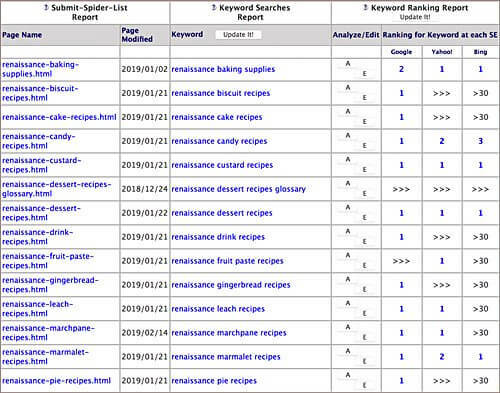 Since the keyword "candy recipes" has a Real Supply of 7904, it has significant competition. However, if you chose to work hard and carefully follow the advice given in The Action Guide, then the keyword "candy recipes" could be a good niche topic to build a successful information site around. The keyword "homemade candy recipes" has a Value Demand of 981 and a Real Supply of just 109. While it hasn't enough Value Demand for an entire site concept, it would make an excellent keyword for a main topic page. All the above keywords have good Value Demand and low Real Supply. They would be great for specific topic pages (Tier 2) that you would link to off a main topic page (Tier 1). Simply start with the recipe topics (keywords) that have the highest Value Demand and work your way down the list when writing your site content. If a topic (keyword) shows very little or no Value Demand, it's not worth your time to write a page for it, since the numbers indicate that very few people are likely to search for it. That's why it makes sense to target the most popular keywords first and save the others for later. You save valuable time and effort by working the MKL to your advantage. Ultimately, your "Theme-Based Content Site" will have a homepage (Tier 1) linking to a series of topic pages (Tier 2) which in turn link to relevant article pages (Tier 3). This is what's called a 3-Tier site structure, and it's designed for easy navigation by search engines and your human visitors. Something that deserves a mention is "keyword intent." It's important to know the search intent of your visitors when they choose a word or phrase. Are they looking for information or do they want to buy something? The Action Guide explains how to tell the difference, so you can match your content to the search request. Niche Choose It helps you to identify the best niche topic to build your Tier 1 homepage and site around. 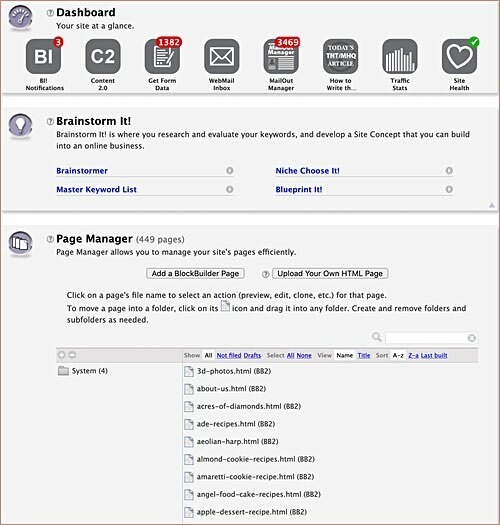 Brainstorm It suggests your Tier 2 and Tier 3 topic pages by helping you to identify keywords that offer the best visitor and profit potential. It's truly an amazing tool. Blueprint It is another tool that uses your selected topics to create a "Site Content Blueprint" for you to follow while building your 3-tier site structure. You'll know exactly what pages to write and publish. No guesswork is involved thanks to Solo Build It! The Action Guide will explain how to identify your potential site visitors and how to determine their needs. You will learn to spot solutions with a profit potential that will meet the needs of your visitors. At the completion of this stage, you would have discovered whether the niche you've chosen has enough earning potential to succeed or not. If the potential for profit is lacking, you'll need to either tweak your niche further or brainstorm a completely new niche. Disappointing? Yes, it can be. But, there's absolutely no point in building a site if it doesn't show enough income potential to be successful. Choosing the right niche is crucial. In Q&A 3 (below) of this Solo Build It Review, you can read how I learned this lesson the hard way. Here's the Day you've been waiting for! Now that you've become fully knowledgeable about your niche, you can fine-tune your Site Blueprint and develop your image (brand). You've now reached the stage where you can create a descriptive, memorable name for your new site and register your domain. Yay! However, do take time to think about your image; it's how you will present your site to visitors. There's a ton of competition on today's Web, so you need to give your site a unique angle to ensure it stands out from the crowd. For example, my site stands out from the crowd by focusing on "old fashioned" dessert recipes. This does tend to reduce my visitor traffic somewhat, as fewer people search for "old fashioned" recipes, but those who do stand a much better chance of finding my site. Don't worry, The Action Guide will lead you through this process, and you can always ask for helpful advice from other SBIers in the Forum. Day 6: Build a Site That Gets the Click! Now it's time to create your site design and publish your home page. Solo Build It offers an entire gallery of modern, ready-made site designs to choose from, or you can use the integrated Site Designer tool to custom design your own "look and feel" from the ground up. All the Solo Build It designs are "responsive" and designed to look beautiful on both mobile screens and desktop computers. I wish it were possible in this Solo Build It Review to display all the great designs available, but there are simply too many. The above image illustrates only a tiny sample of the dozens that are available in a wide variety of categories, and there are many ways they can be altered and tweaked to create just the look you want. After you've selected your site design, it's time to build your home page. The Block Builder tool makes it easy to create and publish your site pages. If you can follow simple instructions, write and paste content into empty fields, and use your mouse to slide blocks and click on buttons, you can build an attractive website using the SBI system. It's as easy as pie! Here's the thing that continues to amaze me. Thanks to SBI's Block Builder, I built this entire recipe site with its 400-plus pages myself, and I'm a klutz when it comes to design. SBI is a complete, all-in-one system of integrated site-building modules that work quietly behind the scenes to ensure your success. To give an example, one feature that I really like is Analyze It. This clever tool automatically analyses each site page and recommends areas where your content could be improved to achieve better search engine rankings. Analyze It ensures that your site pages are properly optimized meeting current Search Engine Optimization (SEO) standards. It's amazing! The beauty of this system is that it's all online, so you can use it anywhere in the world wherever there's a PC or MAC computer handy. I even worked on my site while on holiday in Scotland. Plus there's always 24/7 online support and the Forum to visit whenever you get stuck and need a little help from experienced users. You can even upload your own HTML pages from your favorite page editor, if you prefer. Experienced webmasters are discovering that SBI can make their lives a whole lot easier. If you're a WordPress fan, and you prefer using it to build your site pages, that's perfectly okay. 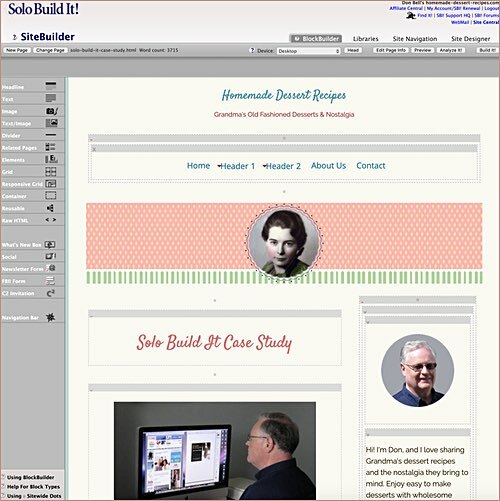 Solo Build It can work with WordPress to help you build your business. On Day 7, you will learn how to work closely with the major search engines such as Google and Bing to build a high volume of traffic. You'll also learn how to use Facebook, Twitter, and other social media services to promote your site. Some SBIers report that half their visitor traffic now comes from their Pinterest business pages. The Action Guide fully explains how to harness social media to your biggest advantage. This is where I need to make a confession. I am not a social media fan, and my website traffic likely suffers for it. Forgive me, but I cannot get excited about Facebook and Twitter. I tried. I really tried. But, I don't find it fun at all. So, do as I say not as I do. Get involved in social media! Build a Facebook business page, as it's a good fit for your recipe site. Foodies love to hang out on Facebook, and on Pinterest too, and they will eventually find their way onto your site. The Content 2.0 tool on Solo Build It makes it possible for your visitors to create site pages of their own that others can comment on. This adds content to your site without you having to write it, and the search engines love it. These are just several of many features you'll have available when you're ready to use them. It's not at all difficult. SBI has you covered. On Day 9, you'll get to know your visitors and their needs. Once your site grows and your visitor traffic increases, your Solo Build It "traffic stats" will start to show some real data. It's interesting and fun to monitor your visitor traffic and see how your site is being used. It can almost get addicting. Among other things, you will learn how to use the Traffic Center to monitor and analyze traffic patterns, keep tabs on page rankings, and develop a winning strategy to achieve your planned-for growth results. Day 10: Monetize — It's Time! Congratulations! You've reached Day 10, the final Day. In many ways, this final step is the most fun. You'll really get excited when your site earns its first $1. You will realize that you simply need to rinse and repeat what you've been doing to earn lots more. Begin "monetizing" your site by adding some "passive income" sources such as Google AdSense and by adding a few "affiliate links" to quality products that tie in with your site content. We'll explain more about affiliate links later. It's called passive income because it dribbles in night and day as visitors interact with your page content. Believe me, you'll be running to your computer first thing in the morning to see how much you've earned during the night while you were sleeping. It can get exciting! What you do is up to you. It's your site! And The Action Guide will always be there to help you with every step along the way. The 10 Questions and Answers that follow were written to provide the information that I wanted to know before starting my first website with SBI. I hope by including them in this Solo Build It Review, they will help to shed light and give you a clearer picture of what it is to be a solopreneur and work online. 1. Is SBI as Overwhelming as It Seems? Clicking on a link will open a new window leaving this page beneath for you to return. After all, you won't want to miss what I'm about to share. It can seem overwhelming if you hurry to do everything. There's loads of information to absorb, but by working through the proven 10-Day process, one step at a time, you will soon find yourself becoming familiar with the package and its terminology. There's a good reason why SBI made Shelly the Tortoise their official mascot. Like the tortoise, be steady, be persistent, and bring into play the security of your shell (the Action Guide) when needed. Never be tempted to race ahead. Why leave one rat-race to compete in another? Go step-by-step and each day, and you'll move a little bit further to your goal. 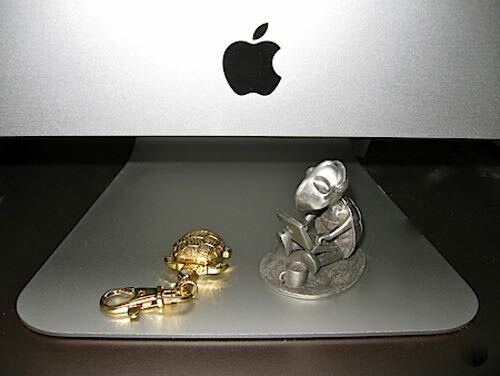 My pewter Shelly Award sits beneath my computer to remind me that I don't need to get everything done today. The golden tortoise key chain beside Shelly in the photo above was presented to me at the Edinburgh SBI Convention. It reminds me of the wonderful opportunity I had to fellowship, attend helpful presentations, and share site-building tips with SBIers from around the world. Your world expands with SBI! You will mostly learn by doing each Day's tasks at hand and seeing the results. It's very much hands-on learning, and you need to give it time. Eventually, everything begins to fall into place, and you'll not only gain confidence, but pride in what you've accomplished. Above all, remember that you are not alone. You will find other newbies on the Forums to share with, and your questions will always get answered by seasoned SBIers. Never be afraid to ask for help. There are no dumb questions left. I know, because I've already asked them! 2. Does Solo Build It Get Results? Yes! Shown below is my monthly website Traffic Statistics for April 2017. Over a thousand visitors arrive every day looking for old fashioned dessert recipes. My visitors have viewed my site pages around one million times this past year! Many published authors and webmasters would give anything to achieve that kind of online readership. Thanks to SBI's automatic page analysis and promotion tools, my pages regularly appear in the top search results on Google and Bing when people search for "old fashioned recipe" topics. You found me, didn't you? There are other SBI recipe sites that target more popular recipe topics. Some are receiving over 10,000 visitors every day! Imagine. You could easily have a fulltime business with that amount of traffic. As you can see from part of my Keyword Rankings Report below, many of my Renaissance recipe pages appear within the top 3 positions on the Google and Bing search results. You must appear on page one in the search engine results pages (SERPs) to attract good visitor traffic. Want real PROOF that SBI sites get real results? Click Here to see over 500 successful websites. Notice the wide variety of niche topics covered by these SBI sites. They were all created by ordinary people just like you and me. No other company dares to show you Proof of Success like this! 3. Can You Make Money with a SBI Site? Absolutely! SBI helps me to earn regular monthly income on the sale of targeted advertising, Ebooks, and select affiliate products. Did you know that major stores like Home Depot®, Ebay®, and Amazon® will let you become their "affiliate" for free and supply ads to place on your website? Then, whenever a visitor purchases something through a link from one of the ads, the store pays you a small percentage of the total sale. It's called affiliate marketing, and it can be another good source of income for your site, depending on your niche. On my site, you may see ads by Amazon featuring products related to the page content. These ads are very easy to set up and monitor. The Action Guide also shows you how to create your own digital products (Ebooks, Kindle books, video courses, podcasts, reports, and so on) and how to market them online. Offering your own products can be very profitable. So far, I've authored 5 Ebooks that I've sold worldwide! It's fun checking your online accounts in the morning to see how much you earned overnight while you were sleeping. And take it from me, it's an even bigger thrill seeing monthly commission checks automatically deposited into your bank account. Each deposit helps to supplement my retirement income. I began working on my recipe site in 2004, and within 5 years it had developed into a fulltime business. It was bringing in well over $100/day by 2010, and that Christmas I treated myself to a brand-new car with my fourth-quarter AdSense earnings. That was fun! Little did I know that I would soon learn a hard lesson. Google improved its search results, and my traffic dropped. I mean dropped. Ouch! Let me explain, so you won't make the same mistake. The Internet was like the wild west several years back. It was very easy to rank for any keyword when you knew how, but the old methods no longer work. I received over 10,000 visitors each day looking for "dessert recipes." However, most of those searchers wanted "modern" recipes, and just as fast as they landed on my site and saw the "old fashioned" recipes, they bounced off. Nowadays, Google's policies are tighter and search results are far more relevant. Now, searchers wanting modern recipes rarely end up on my site. And that's okay. They're happy on the modern recipe sites, and those wanting old fashioned recipes will still arrive on my site, and they're happy too. It's just that there are fewer people who want the older-style, historical recipes. You need to do really your homework on Days 3 and 4 to make sure you are targeting a profitable niche! I love targeting nostalgia and the "old fashioned recipe" niche, but I've had to accept its profit limitations. Don't feel bad for me, though. I've since built other sites to support my interests and supplement my retirement income, so I'm happy. 4. Can Anyone Make Money Online? I'd love to say yes, but let's be honest. Not everyone has the inclination. You must be willing to follow instructions carefully and to enjoy spending time researching online, writing about your chosen topics, and performing routine tasks while seated in front of a computer screen. Don't let anyone kid you, it's hard work at times. You must also have patience, as it can take months before your site gets ranked by the major search engines, and some income begins to flow. That's why it's best to get a site started now instead of later. Even if it's only a few pages, it's important to get your site growing and becoming established. It also helps if you're a stickler for details. There's lots to keep track of when you are researching, writing, creating content pages, and internally linking your site pages. Thankfully, SBI has your back, so you'll always be aware of changes on the Web. And like any small business, you will need to keep track of your income and expenses for tax season. But, the bookkeeping part is very easy, and The Action Guide helps you with the rest. Make no mistake, it IS work, and on rare occasions you will burn the midnight oil when situations arise. However, it's very gratifying to be your own boss. And it's all doable when you take it step-by-step. Believe me, if a senior citizen like me can do it, so can you! 5. So How Much Does SBI Cost? Don't over-think the cost. Some people think SBI costs too much, while many, including myself, wonder why it's priced so low considering all that's being offered. Regardless, it's worth every penny. SBI offers two payment options: Pay $29.99 monthly, or pay $299 for a one year's subscription and save yourself some money. 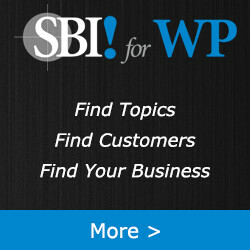 SBI for WordPress is only $17 monthly or $149 yearly. Prices are in US dollars. Either way, for around $1/day or the price of a daily Starbucks® coffee, you can start your own business. Just imagine. You don't see many legitimate offers like this! 6. Besides SBI, What Else Is Needed? My Solo Build It Review has disclosed SBI's subscription cost, so you might be wondering what else is needed to operate an online business from your home. A comfortable work space is a necessity. It's always best to have a quiet area set aside to work in, so I converted a spare bedroom into a home office with a door that can be shut when concentration is needed. I even installed an extra-large window so I can glance outside for a view of the countryside whenever I need a break from looking at the computer screen. Above all, make your working area comfortable and fun to be in. Grammarian PRO2 X checks for grammar and spelling errors. It's an indispensable app for anyone who's spelling challenged like me. Most of my visitor traffic arrives from the U.S., so I use American spellings. Deep Vacuum is an app that quickly downloads an entire website for viewing offline and gathering all its photos and media files into handy folders. It's great for archiving copies of your site for retrieval or to look back on. VueScan from Hamrich Software is an indispensable scanning app that's better than the software utility that came with your scanner. I use it to coax the best possible image output from my scanner. Acorn is an easy-to-use photo editor app. It contains many features found in PhotoShop, yet it's far less complex and very affordable. Snapheal is an app that easily removes unwanted objects and people and fixes imperfections in photos. It's fun to use. The Creator 7 app by Laughingbird Software is a great graphics tool for creating colorful logos, banners, and ebook covers. RelayThat is an online design tool for creating Ebook covers, in-site ads, and social media images. ThumbnailCutter is a little Mac app that easily creates thumbnail images used for linking site pages. Apple Photos is perfect for storing the numerous images needed for the website. It comes free on the Mac. Apple iMovie is great for creating simple videos that can be uploaded to YouTube and/or displayed on your site. It comes free on the Mac. ColorDial is a handy little app that helps me choose complimentary colors for use on my site. Apple Pages is my favorite word processor for writing Ebooks and preparing them in the proper format for publishing on Kindle. As an added plus, it's also free on the Mac. TextEdit is by far my most used program. You'll write all your page content in a simple, basic text editor and then copy and paste it into Block Builder for publishing online. It also comes free on the Mac. So you see, you don't need many program apps for an online business, and the ones you tend to use the most are either very affordable or free, depending on the computer you use. Most of the apps used are small apps that focus on graphics to make photo editing easier. By the way, if you're not a photography fan, don't worry. Anyone can take simple photos for a website. If you can upload photos to Facebook, you can upload them to your site. It's that easy. Also, there are affordable stock photo sources available for times when taking a photo isn't an option. As for equipment, a good computer with reliable high-speed Internet access is an absolute necessity. SBI works well with both MAC and PC computers, but I prefer my 27-inch MAC 5K as I find it easier to use, and I don't have to worry as much about computer viruses while exploring the Web and checking backlinks from nefarious sites. My low-cost Brother DCP-L2540DW wireless laser printer comes in handy for making hard copies for record keeping. Sometimes I print out site pages to have a printed copy handy while I'm editing. It's just my old-school method of working. I also use the Brother laser printer for scanning old photos and vintage illustrations from Mom's scrapbooks. But depending on your niche, you might not need to scan at all. An iPhone, iPad or iPod camera is perfect for taking photos for your site because the images only require 72 dpi resolution since higher resolutions will increase screen loading times which can adversely affect your page ranking. So, don't waste hard-earned money on an expensive camera. An APC Battery Backup & Surge Protector is essential. I strongly recommend that you get one! It will continue to power your computer when your electricity goes off, and it will protect your equipment from power surges. Power outages do happen at unexpected times, and you won't want to lose an hour's hard work. It happened to me before I got my backup equipment, and it wasn't fun. Lastly, my Keurig coffee maker is indispensable for helping me to stay alert. Did you know that your Internet costs, SBI site subscription, computer, office equipment, and software expenses are all fully tax deductible from your income. It's another advantage of having a home business. 7. Does SBI Provide Enough Instructions? YES! Absolutely. The Action Guide and the many learning resources provided are excellent and very easy to read and understand. There's so much helpful information that it almost seems overwhelming at times, especially when you're a beginner. But, you won't hear me complain. I appreciate the clear instructions. Really, you don't need to absorb everything at once as the Info Center is always available when you need it. And much more, including the specialized Search It and Monitor It tools that are unique to SBI. The competing site builder programs offer little or no instruction on how to build an online business compared to SBI, so you're left to fend for yourself against tons of competition. Not so with SBI! Help is always available when you need it, including the Video Action Guide for those of us who learn better visually. By watching the step-by-step videos, it's almost like watching over someone's shoulder as they demonstrate how to do it all. If you're at all like me, you'll make good use of the videos. They are excellent, and they make the learning process easy. 8. How Much Time Does It Take to Build a Site? I won't try to sugar coat my Solo Build It Review. Building a niche site takes time. Lots of time! Even with the huge advantage provided by SBI, it will likely take up to 6 months before you will begin to see significant income. This is simply how the Internet operates. You might be the exception, but I don't want to offer you false hopes. You must be prepared to be patient and realistic. Then, time isn't a problem; it becomes your friend. Despite what some make-money-online scammers will try to tell you, there's no such thing as "Get Rich Quick" on the Internet. Building a proper website, getting it indexed, and waiting for the traffic to build does take time. It can also depend on your chosen niche and how much effort you are willing to commit to your home business. It reminds me of when I grew up on the family farm. We spent weeks cultivating the fields and planting the seeds, and then we waited months for the crops to grow and ripen before they could be harvested. Building an online business is much the same and that's why I recommend starting your site now to get it growing! Finding available time to work on a website can be challenging at times, especially if you have a job and a family to support. However, it's a step-by-step process, and it's amazing what can be accomplished in even a year's time simply by investing several hours each week to build your business. The good news is, as your traffic increases, your income tends to increase also. And at some point, you can either outsource extra work to others, or you can fire your boss and work on your website full-time. Wouldn't that be fun? Yes, building a website takes time and effort, but it's lots of fun. It's tremendously satisfying to help people find the information they're searching for while doing something that you feel passionate about. My website routinely attracts friendly visitors from over 150 countries who have the same interests as I do. Some visitors return to my site month after month, year after year. It's very gratifying. I love that my online business gives me the freedom to work at home and to choose the hours when I want to work. You can even decide to take a day off now and then. You are completely your own boss. It's life changing. My Solo Build It review would be incomplete if I didn't mention negatives. However, there aren't as many as you might think. Any business has its issues, but take it from me, compared to working in the 9-to-5 rat-race, operating an online business at home is totally wonderful! What I especially like is there are no office politics to contend with when you're a solopreneur. You really are your own boss. You've nobody to answer to. However, our cat Max does loudly vent his frustration when I'm busy on the computer and he's not fed on time! The search engines can present your biggest headaches. Google and Bing must be kept happy. However, as long as you stay within their website policies, your site will thrive. It's when they alter their search algorithms with little warning that webmasters worry about traffic results. Always follow the Action Guide and you'll be okay. It's kept up-to-date, and it will always keep you on track. Frankly, my biggest problem is finding the time to do everything. You must order your day and concentrate on the important tasks that have a good profit potential. Otherwise, it's too easy to get sidetracked and end up wasting time on stuff that's unimportant. Your site visitors are typically friendly, but you will come across the odd prickly person for whom nothing suits. You must try not to take it personal when they complain or criticize your site. For instance, one visitor sent me a nasty email because they clicked the button to download their Ebook instantly, and after waiting two weeks, it still hadn't arrived in their local mailbox. Duh. A constant problem is plagiarism. Some dishonest webmasters will try to steal your photos and content. It's surprising how many people assume that once you publish something on the Internet it's fair game. They either don't care or don't realize that your creative works are copyrighted. So, you have to track them down and ask for the removal of your content from their blog. If they refuse, you then need to file a DCMA take-down notice with their web host so it gets removed. If you don't do this, the duplicate content could harm your site once it becomes indexed. It all takes time. And, everyone who works online experiences a common frustration with friends and family members. They always ask, "So what do you REALLY do?" When you try to explain that you have a website and..., their eyes start to glaze over, and you've lost them. They cannot understand nor do they really care. Get used to it. 10. What About the Writing? Do yourself a huge favor. Don't ever worry about the writing! I am not a professional writer by any means. English composition was NOT my strongest subject in high school. Remember that site visitors are wanting information, not Hemingway! They don't really care about your writing skills, as long as you give them the information wanted. "You are the ideal person to write the content for your Website. Even a professional copywriter cannot bring the same sort of unbridled enthusiasm to a topic that you know and love," says Dr. Ken Evoy, founder and CEO of SBI. If you can write a letter to a friend, you can write a site page. 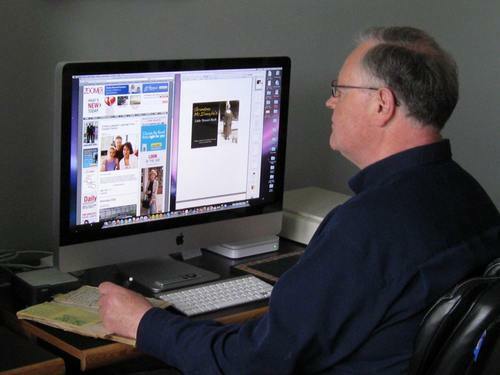 Ken even provides you with concise, practical downloadable manuals outlining the ABCs of simple content writing. Believe me, you CAN do it. Don't put yourself down. You can help people by sharing your interests and begin to realize your dreams. My website is proof that it's possible. This is a program that works! If you've read my Solo Build It Review so far, and the thought of starting a home business appeals to you, why not earn some extra income by building a site and sharing information about something you know and love? Just go for it! Who knows? You might be in a position to fire your boss and escape the 9 to 5 routine someday, or maybe even retire early. But, perhaps you aren't interested in a home business. Maybe you would enjoy having a website to share your hobby with others or to promote your favorite charity or church. Well, SBI is perfect for the task, and if you could earn extra income to support your hobby or charity, why not? Really, it doesn't matter if you are a student, a stay-at-home mom, a factory worker, a professional person, or a retired senior citizen like me. We all can use some extra cash these days, and we all have a skill or some useful information that someone in the world wants to know more about. Watch the short video below. It features several SBIers who are currently working from home and seeing their lives changed by running their own businesses online. You see, the people who use SBI are just ordinary people like you and me. If they can build a successful website, so can you. I have no trouble believing this because I've done it. And I have been doing it since 2004! I love the freedom of being able to work at home online. My recipe website has been hosted by SBI since 2004, and I've been more than satisfied with the service and support I've received. I eventually joined the SiteSell affiliate program because I strongly believe in the product, and I wanted to write this Solo Build It Review and recommend SBI to my family and friends. Now, my wife and others are busy at building their own websites. 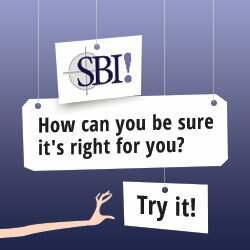 So, I have no qualms about recommending SBI to you. It simply works provided you follow The Action Guide and put in the necessary effort. If you click the links to SBI! and subscribe, you can start your own online business today, and though I stand to earn a small commission, it does not cost you any extra. This is called being an "affiliate." That said, Solo Build It is a product that I use and love, and I know you will love it too. I also decided to write this Solo Build It Review because I became upset at seeing "fake reviews" online that were designed to badmouth SBI and send people to an inferior product. You don't deserve to be misled. You deserve to read a genuine Solo Build It Review written by a real person like me. Someone who has successfully used SBI for over a decade and loves it. SiteSell did a comparison study that included sites built using Wealthy Affiliate and SBI. The results were dramatic showing you have a 33-times greater chance of success with SBI. You can review Wealthy Affiliate success rates versus SBI and judge for yourself. The results are plain as day! While the use of site builders such as Wix, GoDaddy, and Squarespace can lead to a beautiful website, they often fail at delivering needed site traffic, and they offer only limited instructions on how to build a profitable online business. Unconvinced? Be sure to take a peek at SiteSell's comparison studies of the above builders to discover why you maximize your chances of success by using Solo Build It. I like the fact that SiteSell holds nothing back. They are always open to honest questions, and they'll always give you an honest answer. Please, feel free to Contact SiteSell directly if you have any questions that my Solo Build It Review hasn't answered. It's impossible for me to cover everything on a single page. I can assure you there's no obligation. They simply want to help. Now that you've finished reading my Solo Build It Review, why not give SBI a trial run? If the program isn't every bit as special as I say it is, simply take advantage of SiteSell's money-back Guarantee. There are no catches, no false promises, and no risks. You will discover as I did that this is one of those rare occasions where the product more than lives up to your expectations. Simply choose a topic or two that you're interested in. Is it gardening? Dogs? Sports? Your hobby? Your hometown? Your faith? Recipes? — and begin. If you need some assistance in getting your new SBI site started, just ask for help in the Forums. That's where I hang out. Click Here and take advantage of the Solo Build It risk-free trial offer. It is my sincerest hope that you too can turn your computer into a source of income, self-reliance, and creative fulfillment. In his classic book Acres of Diamonds, Russell H. Conwell shared the astounding "secret" he obtained from an old Arab guide when traveling down the Tigris and Euphrates rivers many years ago. Conwell's secret inspired me to start this old fashioned recipe website and go on to build a successful home business online. So, as a bonus to this Solo Build It review, I'm happy to share the actual secret with you. Read the Secret with an open mind, as it has the potential to inspire you too.